2008 sees the unique and famous Mallock marque celebrating its 50th Anniversary, with the founder, Major Arthur Mallock, having sold the first customer Mallock U2 in 1958. 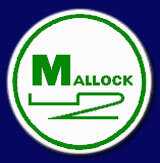 This landmark confirms Mallock as the longest-surviving racing car manufacturer in continuous production in the United Kingdom under the same family ownership. This is a remarkable achievement in one of the world's most financially volatile and unpredictable business sectors. To celebrate the 50th Anniversary, Mallock cars will provide the main events and focus of the 750 Motor Club Festival Weekend on 23rd and 24th August at Silverstone. These will include a static display, a Mallock ‘allcomers’ race on the Saturday, and a Grand Parade of Mallock cars past and present on Sunday morning. The main event on Sunday will be The Mallock Club Gold Trophy; a handicap race which will be open to any Mallock car from an original Mk.2 to the current Mk. 35 ‘Synergy’ Clubmans formula cars. If you require any further information about the background to this release, please mail Martin Covill, Mallock Club Secretary. The address for the Mallock Club is: Fairways, Freckenham Road, Worlington, Bury St. Edmunds, Suffolk. IP28 8SN. Tel: +44 (0)1638 717425. Further information from the official Mallock Club website.